Again, I don't deviate from pop music too much but when another of the caveats of being featured in my blog is either being an independent artist or being an LGBT artist. And when you're both, that certainly makes you prime blogging material. And that's where we find ourselves today. Talking about one of the most prolific singers that you've never heard of and that's because his chosen genre doesn't really know what to do with a gay cowboy. Drake Jensen is an Ottawa based country singer/songwriter that has been recording since he was a teenager which would be just another country origin story except this cowboy found himself appreciating the affections of other cowboys and when the mainstream market for the country industry tends to like their affections a little more heteronormative - it can make it difficult to find a place for yourself. Or you thumb your nose at conventionality and do your own thing. You make your own way and you write and record the music you want to hear. You make the music that you know represents you and gives a voice to your own journey. That's what Drake has done. Being called Country's First Gay artist is a title and a responsibility Drake didn't take lightly. He's never held it up as a badge of honor or treated it as if he was special. What's he's done has been the caretaker of the position and used his burgeoning fame to help other artists feel comfortable being themselves in the music industry, which is a heady proposition when the majority of fans are stereotypically against you already. It's then, that your mettle as an artist is tested and you have to show them that you're more than a flash in the pan. You're more than a gimmick and you've got the talent to back it up and that's what Drake has done, time and time again. So let's talk about his most recent release in "Retro". Drake has taken some of the songs that he holds dearest to his experience and put his own twist on them. And they're not all country songs. So it's just another example of how we pull influences from everywhere and they're what make us who we are today. So with "Retro", you've got a little Cyndi Lauper and some Billy Idol to make it a little rock and roll and then some Reba, George Strait and Pam Tills to name a few to make it a little country. He starts off with "I Drove All Night" by Cyndi Lauper. This is one of my favorite songs. Not just by Cyndi but of all time. The sense of urgency that the beat and the track has against his vocals full of longing are the perfect complement to each other. This is one of my favorite covers of this song with a second place falling to fellow Canadian, Celine Dion. Drake's vocals on this track are earthy and grounded but you can hear how much he needs to be with his love. Gary Allen's ballad of unrequited love, "Smoke Rings in the Dark" is up next and you can feel how deeply Drake has poured himself into these tracks. These aren't just karaoke covers of these songs. He didn't just phone in his vocals, he actually put himself; heart and soul in these tracks and the longing Gary Allen delivered, it seems Drake is capable of doing that exact same thing and makes you want to just wrap your arms around him and comfort him. One of country's most beloved ladies comes next with "Maybe it was Memphis", Pam Tillis is one of my favorite country singers and I always felt she was well under-represented in the genre. There were other singers that seemed to get more air play than she did but not with this song. This song is big and it's hopeful and it's steamy in all the right ways and again, Drake nails every bit of the delivery. You know that these aren't just stories he's retelling. These are his experiences as well. And there's as much of him coming through as Pam. The idea of this chance happening in Memphis between Drake and a "lonely boy far from home" paints a helluva visual and I for one am thankful. There are few male contemporary country artists as big as George Strait so it stands to reason that Drake would be influenced by him. "Amarillo by Morning" is our next entry in this amazing line up of songs. All these songs all have the same sort of want and desire in them. A feeling of needing to be somewhere or to be with someone, a desperate need. A deep soul inducing feeling of being part of something. I think Drake chose these because he knew that feeling was universal and we've all felt it at some point in our lives. I was unfamiliar with the next song and artist. I had to do a little research to learn that Canadian singer, Luba had a chart topping hit in 1983 with "Every Time I See Your Picture" and there's no misunderstanding as to why Drake added this track to the album. It's a gorgeous song about moving on and coming to grips with the dissolution of a relationship. Drake's musical sensibilities are impeccable and he's chosen all the right songs to represent his loves and influences and to be able to show off his vocals. Here we are, 4 songs after "Smoke Rings" and you still want to hug him and make sure he's alright. "Everything That Glitters (Is Not Gold)" is the next song. It's a classic Dan Seals song, again about longing and loss. Drake has a bit of a falsetto during parts of the song and it just makes me swoon a little more as he starts the chorus of this song. He wants answers to why they split up but he knows that he'll never get the answers he's looking for but he knows that he has to keep moving on. And that's very reminiscent of what so many people go through in their lives. We can spend a lot of time trapped in our nostalgia and our feelings of what was and what could have been but we just have to move forward and keep our lives together as things just fall apart around us. Keeping with the overall ideals of resilience and perseverance, the most out of the box addition to the album is Billy Idol's "Eyes Without a Face". Being unexpected doesn't mean it's bad. On the contrary, it's an amazing addition. It breaks up the slow melancholy of the album and the song never gets away from Drake. It's a faithful cover and he does it an amazing amount of justice. Billy's had a bit more snarl whereas Drake's is smoother and more composed. He hits a very high note for me with his cover of Reba's "You Lied". This is probably my favorite Reba McIntyre song of all time. More than "Fancy", more than "The Night the Lights Went Out"; this song is so sorrowful and so confrontational that it stirs up a ton of emotion in me and man oh man, has Drake delivered a stellar rendition of it. It makes me feel just like Reba did the when I first heard her sing it. Never a huge Rodney Crowell fan but the cover of "What Kind of Love (Only This Love That I Have)" isn't a miss. It's a good song and it's a strong song. There are just others on the album that I enjoy more. I'm not saying it's bad at all, just not my favorite. The album comes to a close with Dan Seals and Marie Osmond's "Meet Me in Montana". This is how a cover song should sound. It's heartfelt and it's strong and it's everything that I want at the end of this journey. Drake has covered a huge chunk of America with these songs. From Texas to Tennessee and we land in Montana, under big sky country and it's not a bad place to be. Tia McGraff is an amazing compliment to Drake's voice and I think that they have done a phenomenal job on this song. 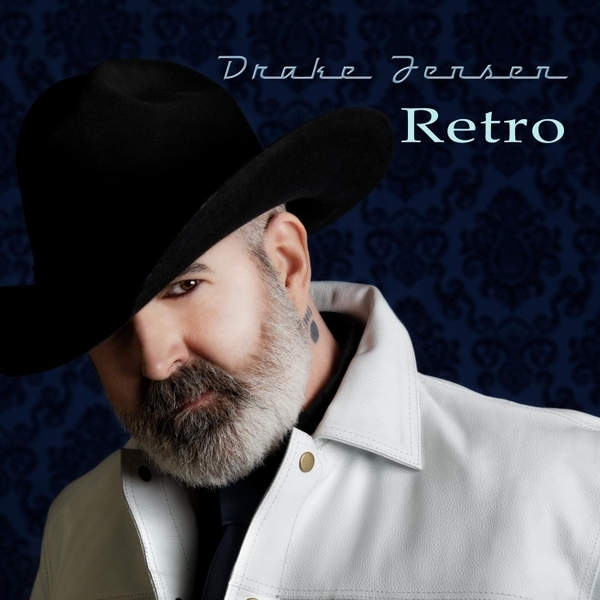 If you're wanting to hear an amazing country album or hear a strong queer artist's persepective on the genre, please give this record a shot and support Drake. He's an amazing artist and he fights for LGBT+ rights as often as he can. He's what we all should aspire to be and I think the world would be a better place for it.